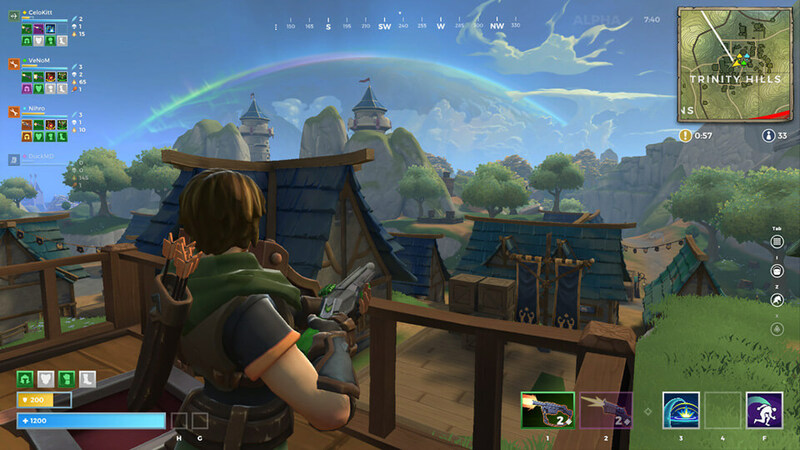 Hi-Rez Studios has announced their battle royale game, Realm Royale, has now arrived on Steam in Early Access. 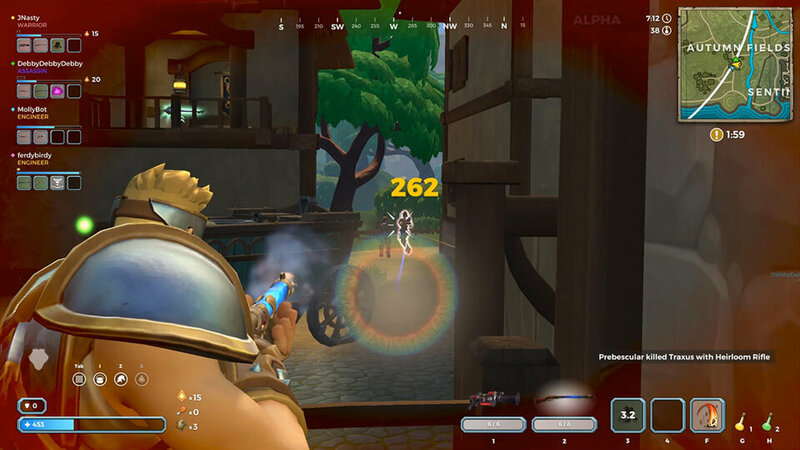 This is a standalone game based on the Paladins IP. Head over to the Steam Store Page and download the new battle royale from Hi-Rez Studios for free today, no access key required! 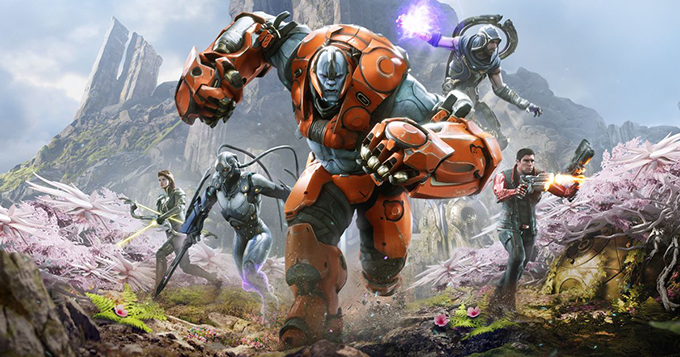 Choose from one of five unique classes, each with its own game-changing perks and abilities. Work with your 4-man squad to defeat dozens of other teams and come out on top! Dispatch your foes in the front line as a Warrior, or sling spells from afar as a Mage. Should you find yourself in trouble, the Engineer can provide defensive barriers to help your team claim victory! Each match is packed with action, requiring you to find gear and prepare yourself for battle. Dozens of weapons and abilities can be found throughout the world to make each match unique. You’ll also be able to find armor and defensive abilities that help you survive the wilds of the world. As you loot the Realm’s many points of interest, you’ll want to employ the Disenchant feature to keep awesome weapons and abilities out of the hands of your foes. Destroying gear will provide you with Shards, which can be taken to Forges found around the map. With these Shards, you’ll be able to craft legendary armor, weapons, and abilities to power up your champion. Journeying through the lush jungle of Jaguar’s Claws or the frigid Everfrost, you’ll find the Realm to be as beautiful as it is massive. Explore the Realm and summon your mount to outrun the fog and ride into your next glorious battle! 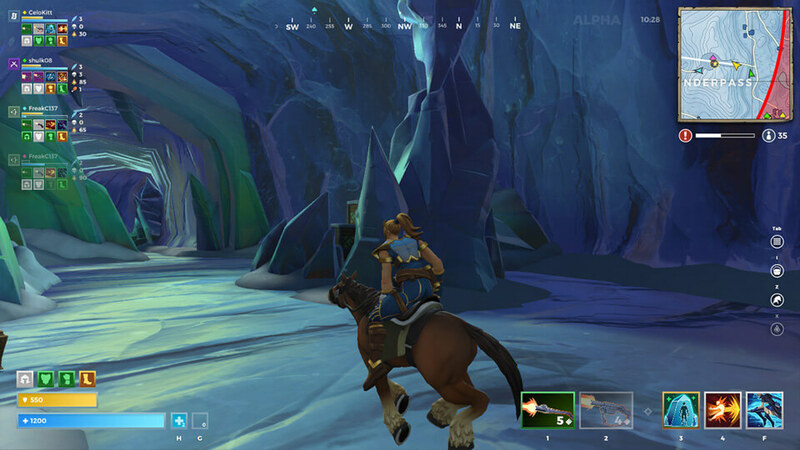 Choose a class, forge your legend: Explore a fantasy world in Realm Royale, the new Battle Royale inspired by the hit game Paladins. Are you an Assassin, a Warrior or a Mage? 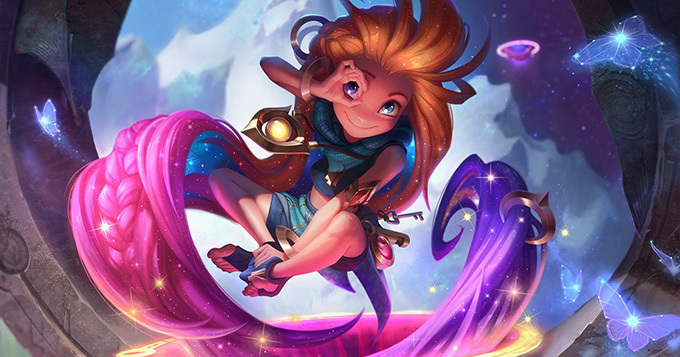 Choose your class, then loot fantastic weapons and magical abilities to create your own Champion. Stay ahead of the deadly fog by mounting up and moving out. Will you be the last Champion standing? Wield awesome abilities: Choose from one of five classes before every match, each with its own game-changing abilities. Become a Warrior, chug a shielding potion, and leap into battle. Soar through the skies as a Mage, slinging fireballs. 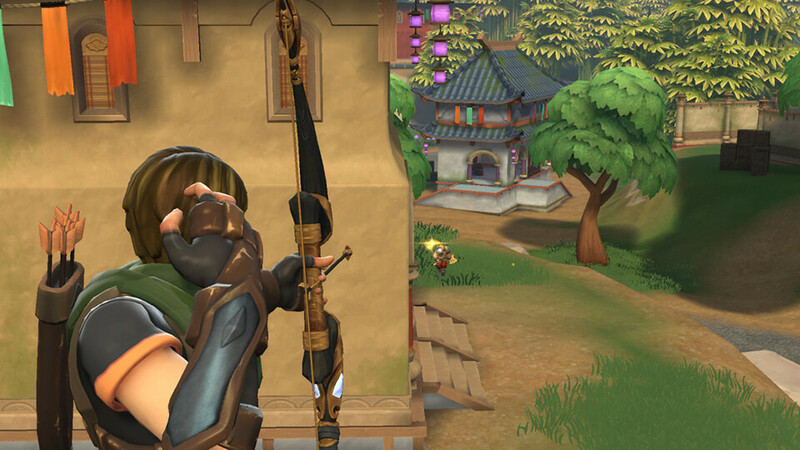 Take steady aim as a bow-wielding Hunter. Deploy turrets and shields as an Engineer. Or blink onto a rooftop and snipe your enemies as an Assassin. Forge legendary weapons: Go traditional with shotguns and snipers, or embrace the fantasy with ice staffs, swords, and crossbows. If you want to win, you’ll need to craft Legendary Weapons at Forges scattered across the Realm. But be careful: While you’re crafting, your enemies may attack. Mount up, explorer the Realm: Journey through the lush jungle of Jaguar’s Claws and the scorched sands of Goblin Gulch. Visit frigid Everfrost and iridescent Fungal Forest. The best part: you don’t have to walk around this massive Realm. Just summon your mount to outrun the fog and ride into your next glorious battle! 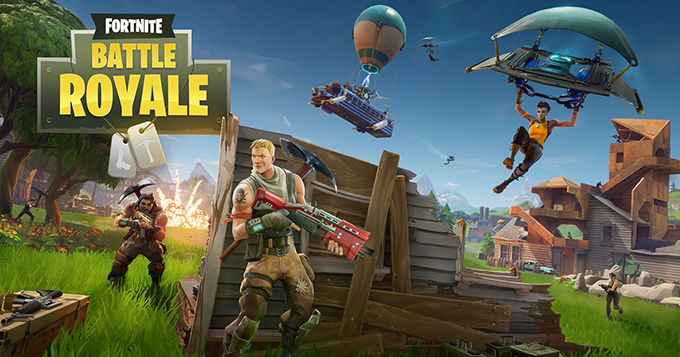 The ultimate team royale: It’s time to squad up. 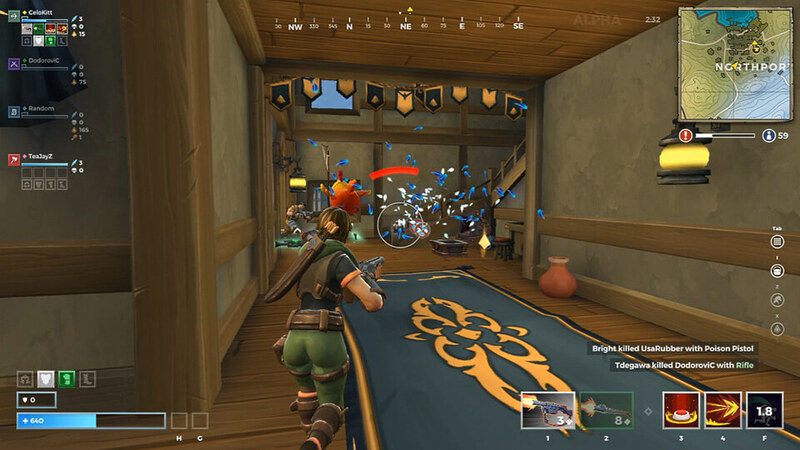 Realm Royale is the first Battle Royale designed to be played in four-person Squads. Help your team by dropping a Healing Totem, or plant a Sensor Drone to reveal incoming enemies. Each class has strengths and weaknesses, but by working together the crown royale could be yours. Hi-Rez Studios strongly believes in building games alongside our community. As seen in Paladins and SMITE, our games evolve dramatically over the course of Early Access because of feedback we receive from our players. 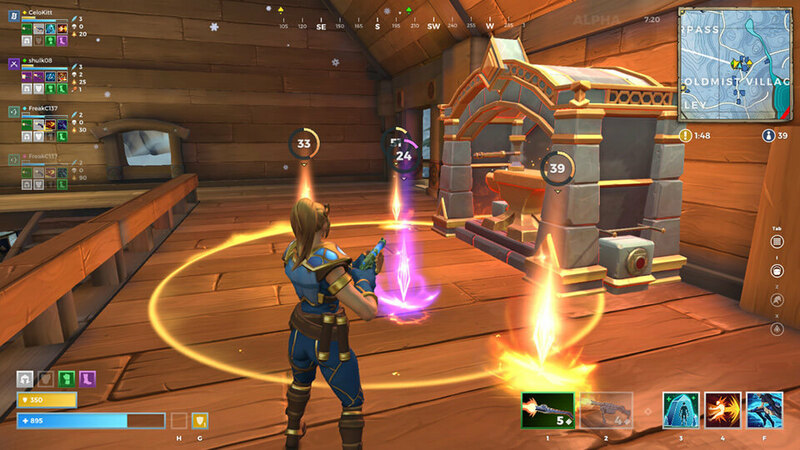 We want players to be a part of Realm Royale’s development from the earliest possible moment so we can make the game you want to play. This Early Access is just that — Early. We want to do so much more with this game, and we intend to remain in Early Access until Realm Royale is finished. Our primary focus in Early Access is polishing the core gameplay experience. We also will add a number of features and systems allowing players to level up and unlock cosmetic content, such as skins, before launch. 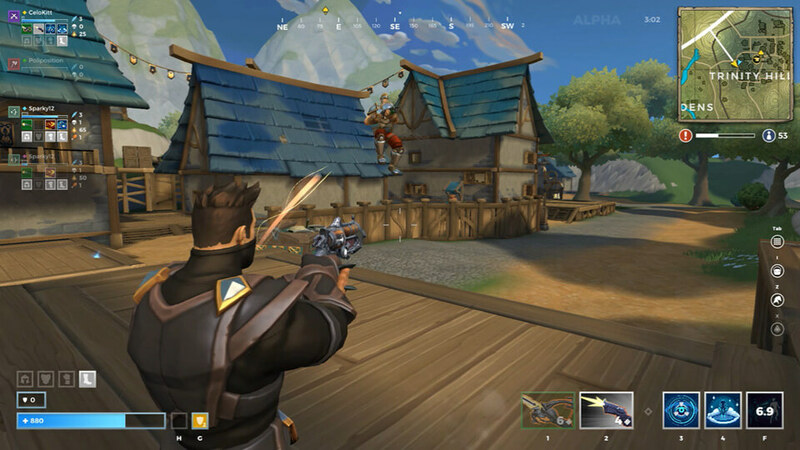 Realm Royale is in Early Access Alpha. Players can experience five classes, 17 weapons, and 25 abilities. They will drop into a massive fantasy-inspired map featuring and play a last-man-standing, 100-player Battle Royale. All core gameplay is implemented (though we still intend to polish it). Out-of-game features, such as player levels and unlockable cosmetics, have yet to be introduced. Realm Royale is currently free-to-play in Early Access, and will remain free-to-play after launch. Our developers are very involved with our community. We are fully embracing Steam’s community tools and plan to be most active in the Steam discussion forums and news feed. We also read comments and engage with players on social media, conduct surveys, and watch streamers. And our community team collects formal feedback from players which is discussed in planning meetings every week.